Bret Maverick, a gambler, lives by his charm, wits and a personal code that scorns crooks, cheats and confidence men. Annabelle is a beautiful young woman whose affections are sought by both Maverick and Zane Cooper, a smooth talking lawman. Annabelle spends her time between the two. This was an okay western. This book is based on the TV series which made it a bit less enjoyable. I liked the overall plot even though it was a bit predictable. 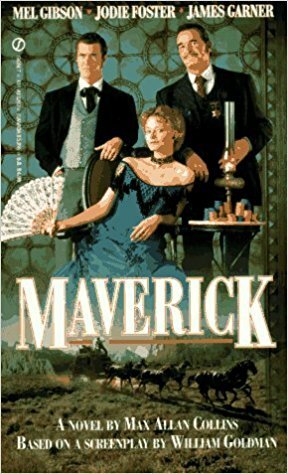 There was a lot of gambling mostly because Maverick is a gambler. There is also a lot of talk of of woman and drinking. I did like it overall.